Takoda Prep is accepting students for third quarter, which begins on January 28th. Takoda Prep is a great alternative for those who had not had success in the traditional school setting. 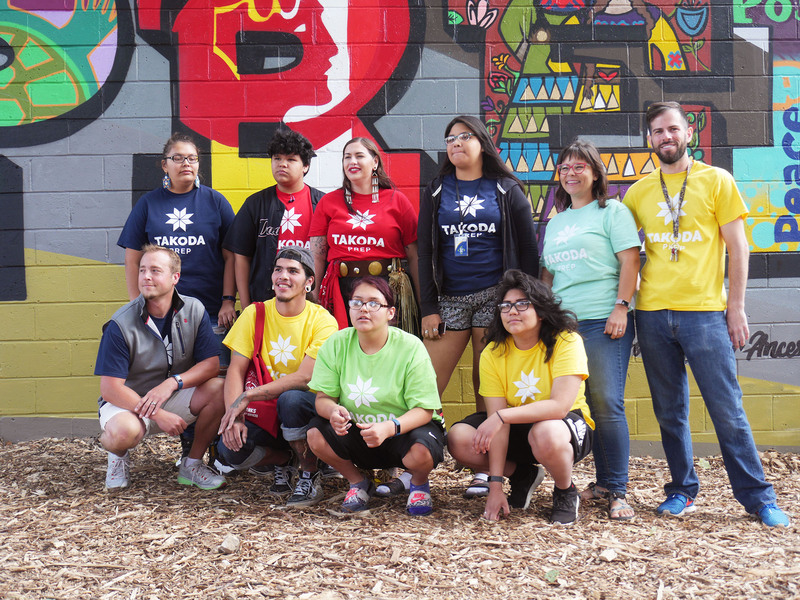 As a contract alternative high school under contract with Minneapolis Public Schools we focus on helping students make advancements in reading, writing, and mathematics, while maintaining a strong connection to American Indian Culture. 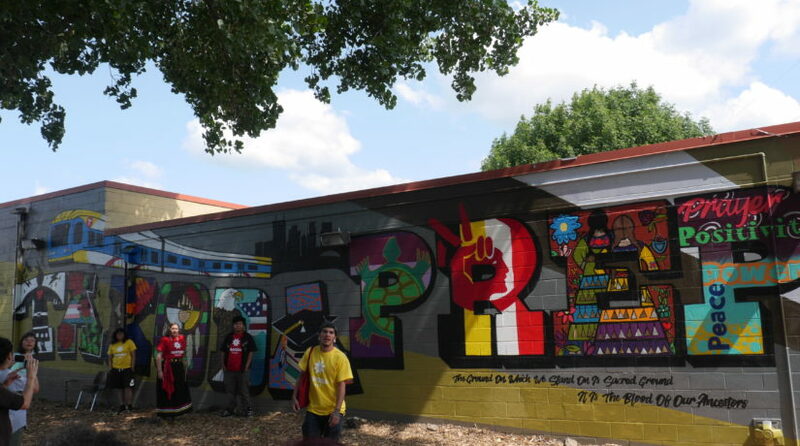 Takoda Prep students celebrating the unveiling of their mural and outdoor classroom. What makes Takoda Prep unique is the small class environment that allows students and staff to feel closely connected which leads to more individualized instruction and support. Student s are encouraged to observe a class or even a full day to ensure that Takoda Prep is the right fit. The first step is to set up a meeting with the Education Director, Chris Hubbard at 612-341-3358 ext. 158. During that time we can review your credits, tour the school, answer your questions and go over any necessary paperwork. Please feel free to visit our Facebook page to see what Takoda Prep students and staff have accomplished this year!